What can I say? I'm a sucker for carbon fiber - or, in this case, things which look like carbon fiber. So when I saw that Skinomi offered a carbon fiber-looking skin for my Huawei Watch I knew I had to try it out. 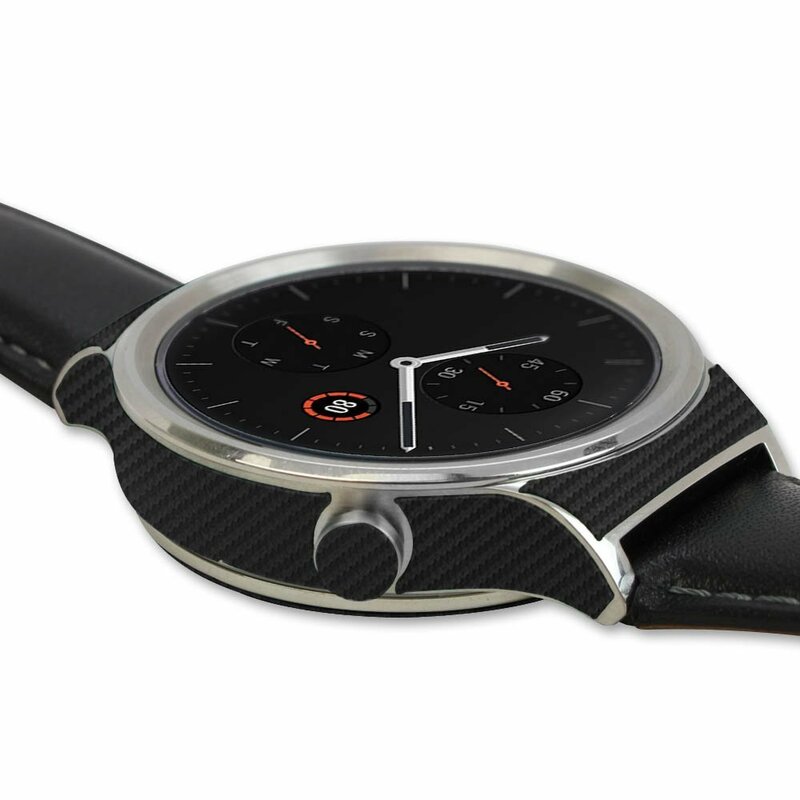 The kit includes 8 precision-cut textured film pieces that mimic the look and feel of carbon fiber as well as a round screen protector film. The carbon fiber films pieces go on dry, but a liquid solution is provided for applying the clear film to the screen. + Installation was easy - much easier than the skins I've applied to phones in the past. A little bit of heat from a hair dryer helps make sure the skin adhered to the curved surfaces of the watch. + I love having this skin on the back of the watch - no more sticking to my arm! The slight texture feels great. These two pieces are cut to perfectly fit around both the glass window for the heart rate sensor and the charging pins. 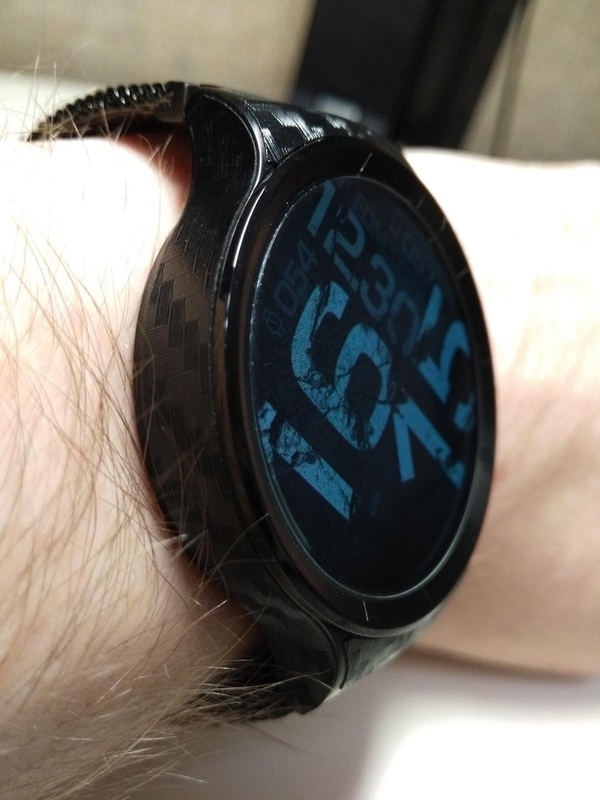 Honestly, covering up the back of the watch alone makes this worth installing in my opinion. 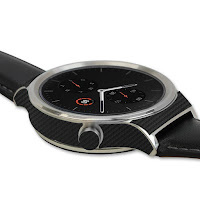 + I think it looks pretty sharp, too - particularly on a black watch. If your Huawei Watch is of the polished stainless or rose gold variety, the gaps between the film pieces will probably look rather silly. • It may provide decent protection to the sides of the watch, but doesn't do anything for the raised edges of the bezel - you know, the bits of the watch that protrude the most and are therefor more likely to be struck. 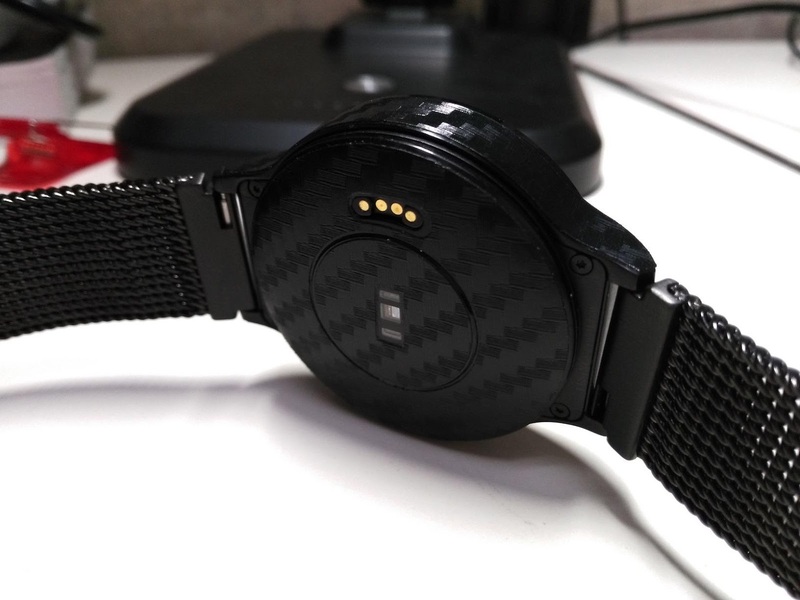 Honestly, the design of the watch doesn't really allow for good protection on these edges so I doubt any other skin would work better. Just something to be mindful of. - The skin on the upper surface near the lugs could be a bit larger. This is especially obvious if you look at the promo shots for this skin, where it's applied to a non-blacked stainless watch. The fit there is awful. The corners of these pieces also began to lift a bit after a month or so of wear. I have since removed these two pieces. - The crown piece is also bad. It doesn't fit well and sticks out to the sides a bit once applied. I removed it as well. So I've removed the screen protector, the two upper lug pieces, and the bit of film for the crown button. Even so, I'm not entirely disappointed with this product - in fact, I'm pretty happy with it now. I actually think it looks even better with the carbon fiber only on the sides; it's a much more classy and subtle effect. And I still love the way the textured film feels against the back of my wrist and prevents the watch from sticking to my skin. 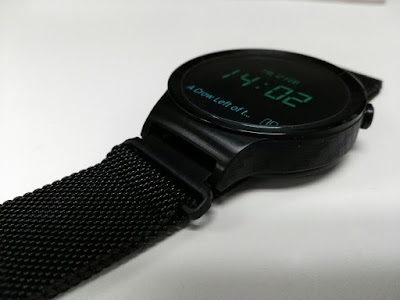 I would still recommend this kit for fellow owners of a black Huawei Watch, with the understanding that the screen protector and upper lug pieces aren't really worth having. You'll have to decide if the kit as a whole is, but hopefully my experience can help with your expectations.